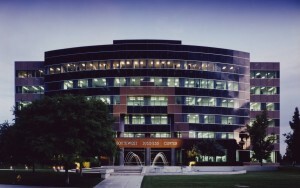 is one of the most prestigious executive suite and corporate office complexes in Tempe. We provide complete office solutions to give your business the image your clients expect, the flexibility you need, and the environment you crave. Our third floor houses Tempe’s finest shared-office environment where the individual offices are among the largest in the industry. The Executive Office Suites at Southwest Business Center were designed with you in mind; the small business, branch office or simply a one or two person office that does not require secretarial assistance on a full time basis. Regardless of how much attention your office demands, all office and secretarial requirements are fulfilled efficiently and economically, while you concentrate on making your business grow!